The St. Louis Master Gardener Program was established in 1983 by the Missouri Botanical Garden in partnership with University of Missouri Extension. The purpose of this partnership has been to provide horticultural education and outreach into the St. Louis Community through training volunteers to educate the gardening public. The world renowned Missouri Botanical Garden plays home to the St. Louis Master Gardener Program. 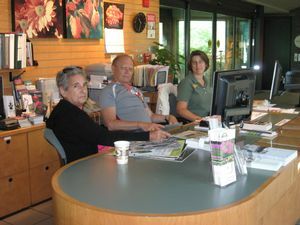 Master Gardeners volunteer in many areas at the Garden including the Horticultural Answer Service, as Plant Doctors and Receptionist Assistants in the Kemper Center for Home Gardening, and in many areas outdoors on the grounds. Learn more about the St. Louis Master Gardener program and their broad range of community involvement.